On its face, Steam sensation They Are Billions appears to be about three of gaming’s most-hallowed S’s: survival, steampunk, and (s)zombies. That, however, is all just window dressing. Truth is, They Are Billions is a game about failure, which is where all the best stories come from. Steam users have been sharing some doozies. 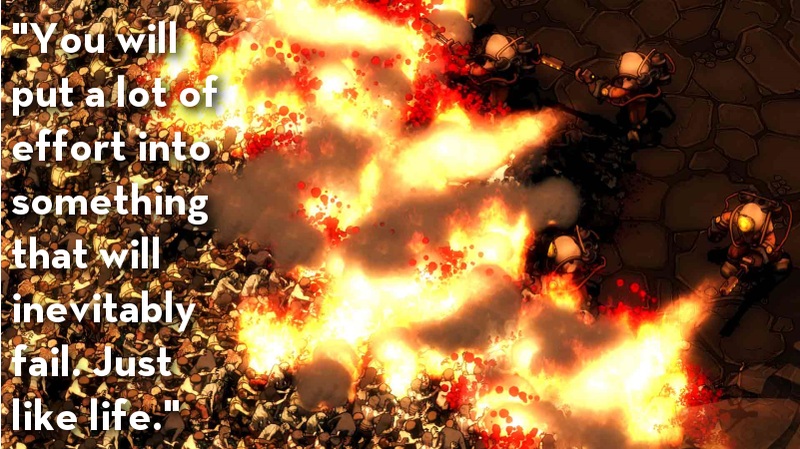 In They Are Billions, you build and build and build, but endless zombie hordes refuse to take the hint. The game exists in two liminal spaces: between RTS and tower defense, and between life and sudden, disastrous death. We’ve been enjoying it a lot, despite repeatedly having hours of work undone by ONE DAMN ZOMBIE. Steam users seem to agree. Well, mostly.